The danger of climate change is accelerating. But fossil fuel companies are still hell-bent on burning five times as much oil, gas and coal as the Earth can safely absorb. Meanwhile governments are failing to meet their own targets for cutting emissions. So how do we ordinary people of the world secure our human rights and our future? A fast-growing international movement says the answer is going after what fossil fuel companies care about most – their profits. 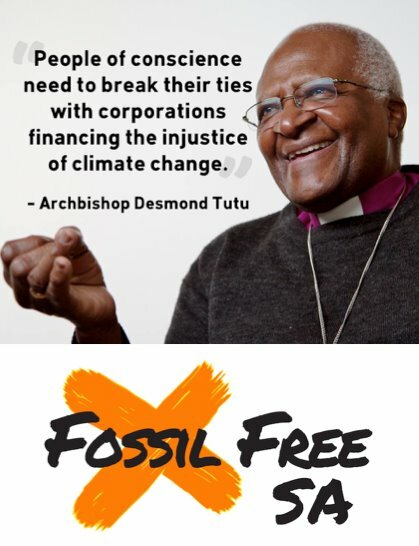 As Fossil Free South Africa, we’re asking universities and investors of all stripes to withdraw investments in fossil fuels and redirect it to the clean energy revolution. It’s just the right thing to do.